Indeed, that paper was actually the original inspiration for Psychopath. That paper is basically for adding ray tracing to a Reyes renderer, but I thought, "I wonder how a renderer would perform that was based entirely around that approach, without any Reyes component?" 1. When you rely entirely on a cache for sharing generated geometry among rays, you get a hard performance cliff when the cache starts thrashing due to e.g. too much geometry or highly incoherent scene access. The paper even mentions a case that is problematic for that, e.g. a disco ball. 2. When you access a single shared cache for every ray hit, that becomes an enormous bottleneck for multi-threaded rendering. 3. 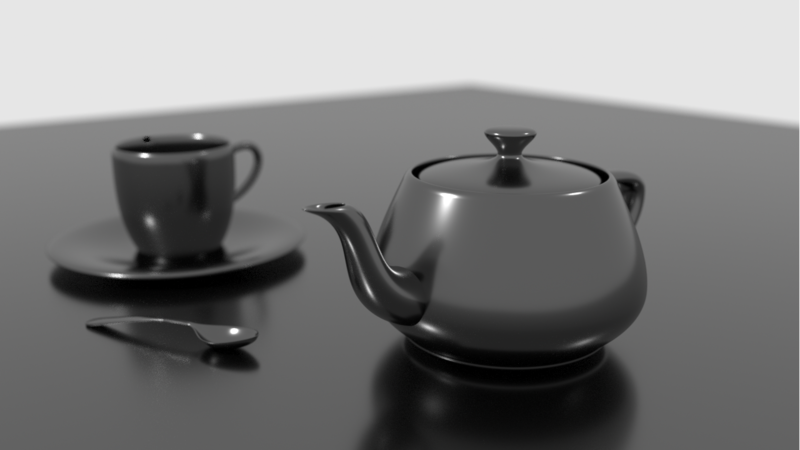 The results of surface splitting need to be stored in the scene tree itself for later rays to access (otherwise splitting becomes a bottleneck if you do it independently for every ray), which both creates multi-threading bottlenecks while the tree is modified and means that scene data can, at least in theory, grow to be arbitrarily large during rendering. It's still a great paper, mind you. And as I said, was my primary inspiration originally. But in the end it has too many shortcomings in practice, especially related to multi-threaded rendering. stefan wrote: BTW, do you have any sample scene files for Psychopath? So, turned out it wasn't as long a while as I thought. The kernel still isn't where I want it to be, but I'm now maintaining a Blender addon that renders using Psychopath. It's in the Psychopath git repo under "psychoblend". I'll keep it up-to-date alongside Psychopath itself. If it doesn't work for some reason, please report in the repo's issue tracker and/or make a note of it here and I'll try to get it fixed when I have the time. I've only tested it on Linux so far, so it may have issues on other systems. Note that addon doesn't show render progress while rendering yet, so it looks like nothing is happening aside from the cpu revving up. It does display the final render when it finishes, though. Glossy render! Yay! No more boring lambert! There are obviously still some bugs in the implementation, but it's more-or-less working. Awesome! Looking forward to following your progress on the blog. A way to get around the MLT limitation of your architecture is to use a multiple proposal metropolis sampler such as described in the first paper of my Useful Markov Chain Monte Carlo Papers to apply to Graphics post.